Notable PDF is a useful tool to use for viewing and annotating your PDFs. Notable PDF works with Google Drive and is also accessible offline. You can use it to view PDF files on your browser. 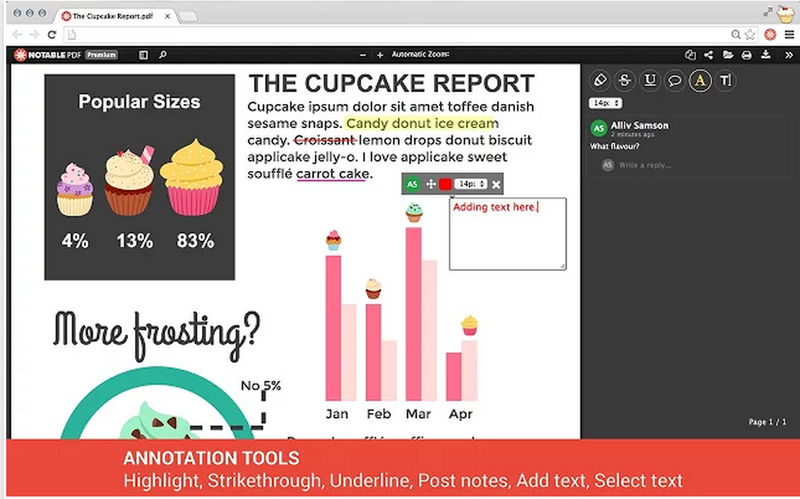 You can easily highlight text, add comments, underline or strikethrough text and instantly share your PDF files with your colleagues and collaborators. Notable PDF also enables you to insert your own digital e-signature to your PDF files. It also supports freehand drawing and several other features. The free version of this app works great but has very limited features. However, Notable PDF does offer special prices for schools and education which start at $2/ user per year. 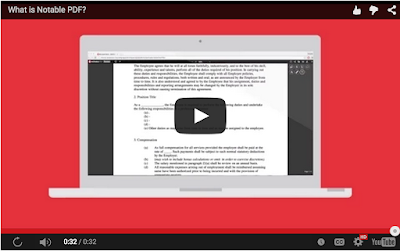 Watch this short video to learn more about Notable PDF.